WARNING: Minor spoilers ahead for “Game of Thrones” season six episode nine. “Game of Thrones” season six episode nine was a bloody, epic showdown that had fans gripping the edge of their seats as Jon Snow went up against Ramsay Bolton and Daenerys Targaryen showed the might of her dragons. 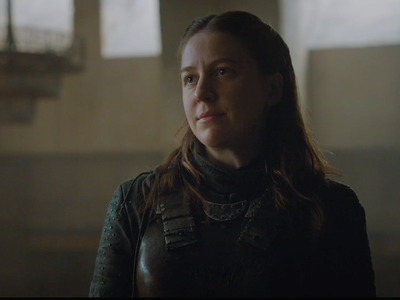 But there was a lighter moment during the episode, which was Theon and Yara Greyjoy’s arrival in Meereen to try and get Daenerys on their side against their uncle Euron. 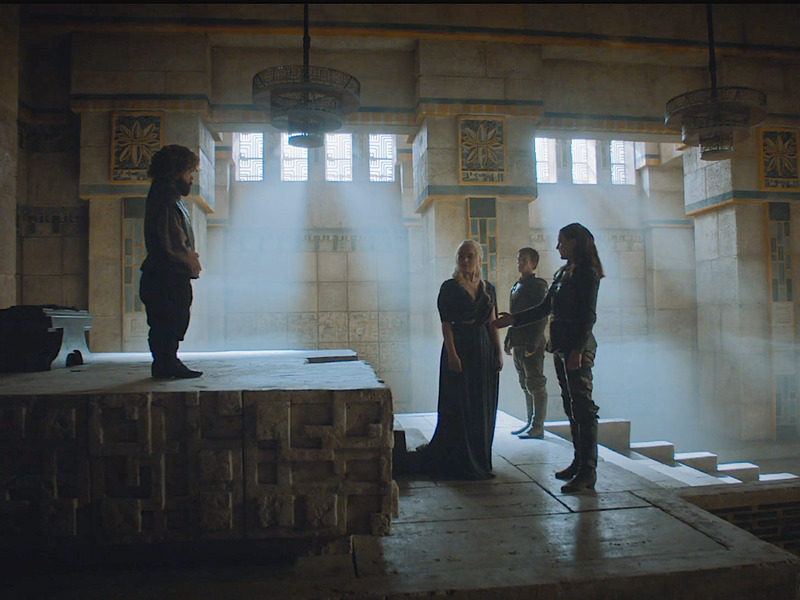 Daenerys and Yara quickly bonded over shared traits like their evil fathers, desire to be queen, and dislike of misogynist men. There was even an epic hand shake. 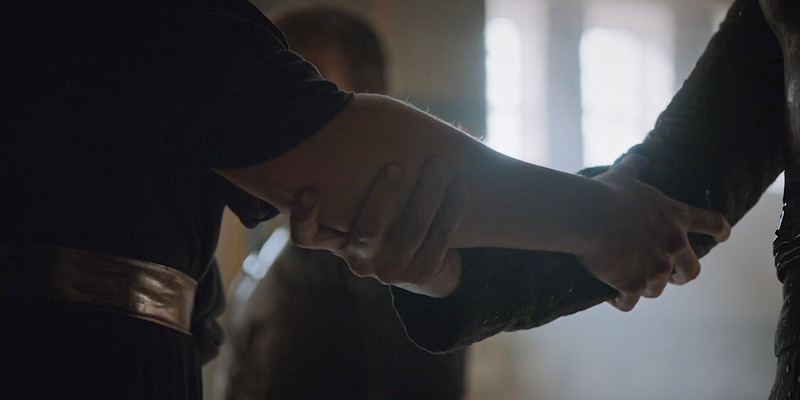 HBOThis handshake was pretty amazing. And “Game of Thrones” fans couldn’t handle their banter. But it wasn’t just that they got along so well — mainly, fans started “shipping” the two strong female characters, or hoping that the pair would start a relationship of some kind. Asking for, not demanding, a Yara Dany lesbian plot right this very instant!!!!!!!!!!!!!! So how likely would this plotline be? Daenerys and Yara even briefly brought up the idea of a relationship between them when they were talking terms as well as Euron’s plan to woo Daenerys. “Euron’s offer is also an offer of marriage you see, you won’t get one without the other,” Yara explains. 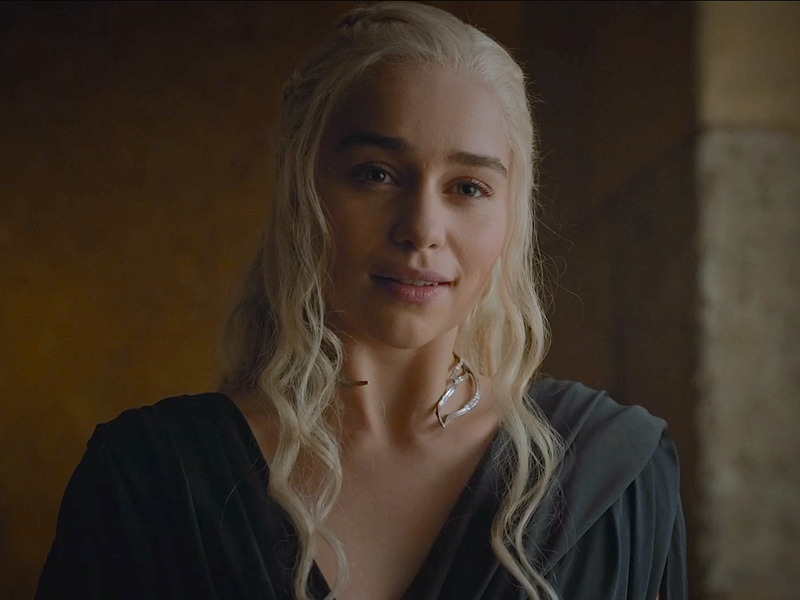 “And I imagine your offer is free of any marriage demands?” Daenerys asks. “I never demand, but I’m up for anything really,” Yara says flirtatiously. HBOThis is the look Daenerys gave Yara. On the show, Yara has been shown having a sexual interest in women. In the books, Yara’s name is Asha and she has only been known to take male lovers. And while Danerys hasn’t shown a sexual interest in women in the show, Daenerys in the books is a different story. She briefly takes her handmaiden Irri as a lover in “A Storm of Swords,” though that has more to do with missing Khal Drogo and less to do with her attraction to Irri. It’s a relationship of convenience. Plus, the show was likely just teasing fans by introducing two of the strongest women on the show to one another. And while there was undeniable chemistry between the pair, it had more to do with their alliance than a possible love story. Still, if fans want to believe, there’s no stopping them.